Subject: German soldiers drinking beer in their canteen at St. Lodewijks Brewery. 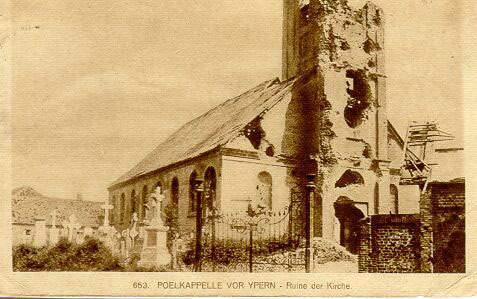 The clock was shot down from the Poelkapelle churchtower. Malte Znaniecki, have you information about this "Memorial" picture? Its new for me. the memorial was erected by German 26. Reserve-Korps (probably in 1916) and (as I suppose) stood on the former German cemetery (near the site of the today POELKAPELLE BRITISH CEMETERY). Ook veel foto's op onze (Stijn en ik) website te zien! !